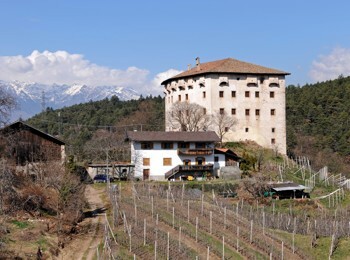 Near Castel Katzenzungen grows the oldest vine of Europe. He is 300 years old and every year they produce a great white wine, the “Versoaln”. The castle was built in renaissance times. From there you can see Meran and environs as well as Bozen in the southern part of South Tyrol. The highlight in the castle is the “black kitchen”: There, centuries ago, they smoked meat. Today you can make romantic candlelight dinners there. People like the castle for weddings and festivities. The 3 ours walking tour begins in Nals. From there you reach Prissian passing the Prissian brook and going towards Prissian. 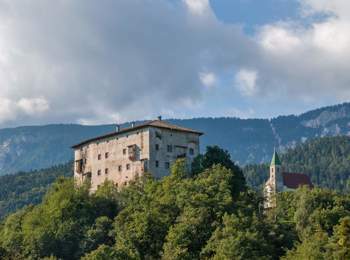 In the center of the village you can find the beautiful castle.